Wouldn’t you like to be Delta’s friend? Or Southwest’s? Southwest Airlines and Delta Airlines and others have been running around playing politics with the US Airways / American Airlines merger in ways that leave a person wondering what, exactly the agenda is. The truth is that the airline industry has never been good at acting in its own interests. To the contrary, the US airline industry is expert at just one thing: shooting itself in its own foot. And they have a tradition of doing this that stretches back 60 years or more. This isn’t just a deregulation thing. Airlines cannot resist interfering in things that may result in some benefit to them. And the worst part is that they always do it in a very clumsy manner which finds them not only not getting what they wanted but losing too. These airlines run the very real risk of impacting their entire industry in a way that would prohibit further consolidation and even invite investigation into divestiture by the very largest airlines. It’s no small thing that both Delta and Southwest are a part of that club of large airlines. Singapore Airlines did something shocking many years ago. 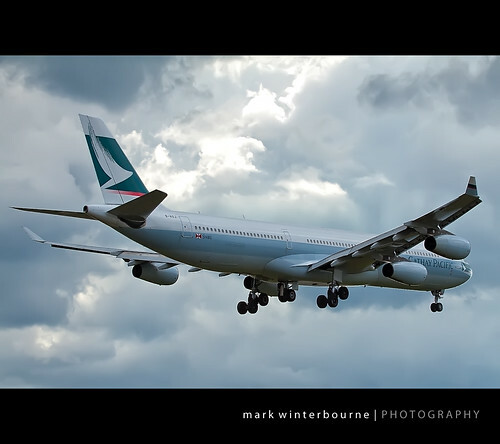 It took its nearly new A340-500 aircraft and put an all business class cabin in it. Then it flew this airliner from Singapore to New York City (Newark) on a regular schedule. This has been a flight of 9500 miles (or 8300 nautical miles) which, when you think about it, is really quite amazing. The flights are sometimes a bit longer than that because they fly an air track that is most efficient, not always just a great circle polar route. But Singapore is dropping the flights. 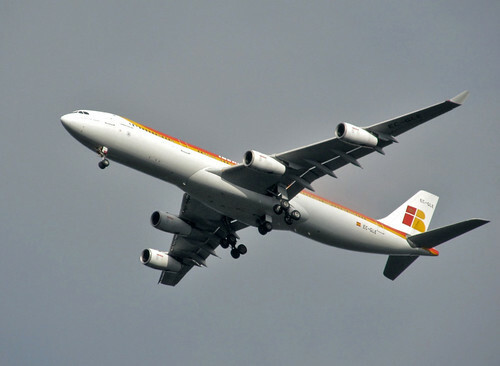 The aircraft used is a 4-engine aircraft that never made much economic sense for most airlines and it is probably becoming too expensive to operate this aircraft even on this route. Will it be replaced? It’s always possible but there are no plans to do so today. 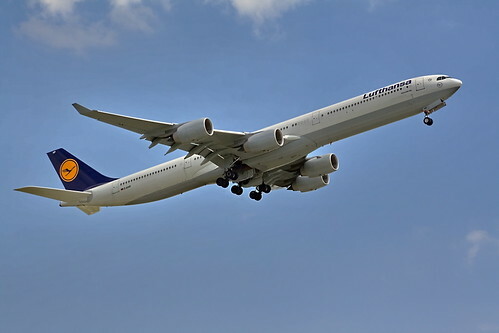 A 777-200LR could fly the route with more passengers but who says there are more passengers who want to fly that route? A 787 cannot fly the route today and there are no models with enough reserve distance in them to make that possible. So, as a route, it’s probably gone. The next longest route is Sydney-Dallas/Fort Worth at 7500 nautical miles and it’s notable that that aircraft is also a 4-engine airplane: The 747-400ER. The reason both of those are flown with 4-engine aircraft is that they have both the range as well as the ability to fly the most efficient, direct tracks. Two engine aircraft such as the 777 always operate under ETOPS rules which often require slight deviations to stay within range of a diversion airfield. I do think we’ll see a flight of 8000 or more nautical miles some day in the future. I do not think we will see that flight in the next few years. At the end of the day, such flights are really one-offs that will come and go as demand changes. Just like the Concorde, it was nice while it lasted. After Harding Lawrence’s departure from Braniff International in December of 1980, John Casey, brother of Albert Casey (Chairman and CEO of American Airlines) was elevated to the positions of President & CEO at Braniff and Neal Robinson became Executive Vice President – Marketing. When strategizing with Vice President of Sales, Jeff Krida, Robinson told Krida about the Braniff Fast Buck program that lasted about 6 months a decade earlier. The Fast Buck program awarded passengers a plastic token good for their next trip on Braniff if their flight was late. This encouraged good will among passengers and tied them to Braniff for their next flight at the same time. Robinson wanted a program that tied people’s travel decisions to Braniff. That was when the subject of S&H Green Stamps came up in the Robinson – Krida strategizing as Robinson remembered having to lick and past stamps into books when he was child. On a more personal note, I can remember that there was a small store near our home at that time that was one of the last stores around in the area to aggressively market the fact that they issued S&H Green Stamps and I remember people demanding Green Stamps when they filled their car fuel tanks with gasoline during the gas crisis of 1979. Those stamps tied loyalty to that store very tightly during that energy crisis. Robinson, who had spent a great deal of his career tied to the reservations and financial systems of the airline, hoped that they could tie the program into the Braniff “Cowboy” reservations system so that they could identify the passengers travel with the passenger and offer a benefit to the passenger rather than the company paying for the ticket or the travel agency procuring the ticket. The passenger would reap a reward that came at no cost to him and the program worked very well. There are plenty out there who would tell a different story. Some would tell the AAdvantage story and some would tell the Western Airlines story. The truth is that like quite a few developments in marketing, there were a number of people who were exploring the idea of a loyalty program. Men like my father, Robert Crandall, Tom Plaskett, Jeff Krida and others were all of a similar generation who were doing similar things. They had the benefit of being of the same generation and the same experiences that came with that generation. From a personal viewpoint, I still remember very strongly the day that American Airlines announced its own program. My brother and I both reacted strongly and exclaimed “Hey, they stole that from Braniff!” We were proud and defensive of our father. It’s also notable that the Braniff campaign was to be good through May 31st 1982. The airline filed for bankruptcy just 2 weeks before that date and my father had been gone from the airline for many months by that point. That final element in what needed to happen to support Braniff’s survival was never done by the remaining executive leadership. Delta Airlines accepted the points earned by former Braniff customers starting about one month after Braniff’s bankruptcy filing. Delta had just begun their own program and wanted to earn their way into Dallas / Fort Worth in particular. He who wins, gets to write history and American Airlines won. The AAdvantage Program won and it is entitled to write some history. The truth is that I do not believe that American Airlines “stole” the idea. I strongly suspect they were working hard to figure out solutions to problems just as most airlines were and decided to try something that had worked in other forms and in other decades. Airline loyalty eroded heavily after deregulation. Prior to deregulation, you did not choose your airline on price. The fare was determined by the government. You chose your airline based on the schedule available and the service style you wanted. Airlines drove their loyalty with that service. Post deregulation, fares drove those decisions and particularly so among the public. Fares were the democracy that the airline industry had never before seen and it was shocking to many just how quickly even the most loyal customers could leave based on fare that was a few dollars cheaper than the next guy. Airlines knew how to work with loyalty and they craved a way to re-establish it. So it makes sense that many at many airlines would be working on loyalty programs. That brings me to an irony in closing this article: My father was at least a father of airline frequent flier programs if not the father of such and it was a program that worked well for Braniff. As an airline industry commentator and someone who has been observing the industry for about 20 years now, I loathe frequent flier programs. I believe they skew the industry in ways that cause service to suffer madly and which allow bad airlines to survive years past what they should be able to do. And when you think about it, that is a great definition for the success of such a program. For the very few that remember this program, it could be argued that this really was the first modern, points based airline loyalty program to be instituted. And some would argue that it was American Airlines who did this. Before I go further, I should mention that I am not entirely an unbiased observer in this story because it was my father, Neal J. Robinson, who I would argue is one of the originators of these programs. The story about what drove Braniff to adopt such a program has its start in the 1978 Airline Deregulation Act just like so many other modern airline stories. It was the opinion of many in the airline industry at that time that airlines would have to grab all the routes that they could when deregulation began so that they could hold these routes when the airline industry was re-regulated, as so many thought. Harding Lawrence, Chairman and CEO of Braniff International certainly thought so at the time. There was a belief among many airline executives that deregulation would last only a few months because no one believed the government and the public would have much tolerance of the chaos they believed would ensue. In hindsight, this seems silly but in the context of the 1970’s and the history of the airline industry, it wasn’t entirely impossible either. Deregulation only liberated the revenue and service side of the airline industry while the cost side, especially labor, remained regulated in the form of unions, union contracts and the Railway Labor Act. Many of those involved in the accounting and finance domains of airlines became acutely aware of the risk that their airlines were about to endure as prices dropped and costs remained the same. My father was one of those men as he sat as Vice President – Finance & Control for Braniff. By late 1979, Braniff was under significant financial pressure by having taken on too many new routes and by having ordered too many airframes and engines to serve those routes. The company was under increasing pressure from its lenders and that fact became a matter of speculation within the travel industry and, to a lesser extent, among the general public. The impact on Braniff as a result of that financial pressure and the attendant speculation was estimated to be that the airline was possibly losing from 5 to 10 percent in load factor on a daily basis as a result. The airline was suffering for passengers badly just when it needed them the most. In the pre-deregulation era, it was commonly accepted that airlines would aim for load factors of approximately 60 to 65 percent which contrasts greatly with the 80 to 90 percent load factors airlines want today. With air fares suddenly dropping like rocks, airlines could not afford to suffer any drop in load factor whatsoever and certainly not a massive drop such as 5 percent or more. According to Neal Robinson, his calculation (an educated guess really) was that in 1979, travel agents who were selling to the general public and to the corporate travel departments constituted approximately 65% of all Braniff ticket sales and he was certain that this percentage was dropping quickly. The decline also roughly correlated with the level of news and speculation about Braniff within the industry. In short, the speculation was fueling a self-fulfilling prophecy. I concluded the reason for that decline was the basic math of travel agent ticket sales. Travel agents typically received a commission equal to 10% of the ticket price, e.g., for a $500 ticket, $50. In the event of an airline failure where the ticket became essentially worthless except to the extent another carrier might honor it, sometimes on standby, the entire ticket purchase price would be lost, e.g., $500. In that event, the travel agent would be under great pressure to refund the entire ticket price. Thus, where the travel agent had the potential to benefit in the amount of $50 for selling the ticket, it had a corresponding opportunity to lose $500—or ten times the amount the agent had to gain if the carrier ceased operations. I believe that made travel agents and corporate travel departments shy away from using Braniff—that in addition to the inconvenience that would result to the passengers, their “customers,” in the event the airline failed. Travel agents were doing what smart business owners do: limiting their exposure to risk. When Neal Robinson was elevated to the post of Executive Vice President – Marketing, he concluded that three things had to happen fairly quickly. First, Braniff needed to create the image that they were fighting their way back. This was initiated with the Glen Geddis (designer of the Braniff Two Tone Livery in the early 1970’s) developed campaign titled Braniff Strikes Back which was thematically inspired by the Star Wars movie, The Empire Strikes Back. The second thing needed was a way to take the airline choice decision out of the hands of travel agents and corporate travel departments and get it into the hands of the passengers. Mr. Robinson and his team believed that travelers liked the Braniff experience and even preferred it despite the fact that the airline’s relationship with passengers had recently been strained by operational problems incurred with the rapid route expansion. The final action was to put together a business plan that made sense to banks and insurance companies who were largely Braniff’s creditors at the time and who the airline needed to reduce the constant pressure and industry speculation that drove falling load factors. An extremely nice and talented duo, Abra Schnur and Jacob Flores, are engaged on doing an oral history about Braniff. They are doing voice interviews with former employees and family members of Braniff and then transcribing and archiving these interviews with the University of North Texas. I’ve written about their project before. They need subjects to interview. I believe they have had no problem in getting numerous interviews with pilots and flight attendants but they need interviews with people who worked or interacted with the airline in other areas. That means people such as accountants, baggage handlers, managers, salesmen, mechanics and others. It’s a worthy cause and it costs you nothing to participate but a small amount of time. I’ve done an interview with them and found it be a terrific experience and it surprised me how much I had to say. More importantly, if this history is not captured now, it may never be captured. The truth is that people from Braniff are aging and there is probably a 5 to 10 year window to capture this history at best and, frankly, I fear we may have already lost some in the deaths of certain Braniff icons. What can you do? Contact FlyingVoices on their Webpage or their Facebook page and offer to do an interview. Go ahead, do it now. We’ll wait patiently while you do so. Do you think you don’t know a former Braniff employee? Maybe you don’t. But forward this blog post on to others and try to spread the word anyway. Do you have questions or wonder about the legitimacy of this? Contact me by commenting on this blog post and I will answer whatever concerns you have. A project being executed objectively and without agendas is rare and FlyingVoices is trying very hard to get it right. Without participation and even sponsorship (they need money! ), these kinds of projects fail and history is lost. So go save some history and participate in FlyingVoices. Flying Voices, the project to do an Oral History on Braniff International is working to raise money in a crowd funding campaign and needs your help. They’ve raised some money but they need more. I’ve donated $50 and I challenge readers to offer just a small donation to make this possible. Braniff has no definitive history done on it and one will likely never be made. This Oral History project is a valuable effort to preserve what we know and love about an airline and it’s our last chance. Flying Voices and “like” them. They need some love. Seriously. Go do it now. I’ll wait while you click the link above. Go to their website and read more about their project and form an opinion of what they want to do. Their website is, oddly enough, FlyingVoices.Org. Go to their crowd funding website on Indiegogo.com and give them some money. You can find the second round of their appeal here. This blog is primarily a commentary on the airline industry and my intent is to offer opinion and analysis on what is going on with airlines today. From time to time, I take a walk back in time with airline history and it’s always enjoyable to do so. Many come here originally because of the somewhat obvious ties to Braniff International in the name of this blog but I suspect many are also disappointed to see that I rarely speak of Braniff. Today will be different. I want to talk about an oral history project being done by two people who reside here in Texas and who originally became interested in the airline because of the fashion it set. You might be tempted to dismiss them, I wasn’t. The fashion that Braniff brought to the airline industry was revolutionary and it was entirely emblematic of the revolution it brought in many other ways as well. Abra Schnur and Jacob Flores both have connections to Braniff history and both became much more interested in the airline over time. Now they want to do something with that love they have built for an airline we lost more than 30 years ago. This is a work of passion and one they have taken on to do at their own expense and even with a cost to their families. Both have the right background to do the job right. There is very little real history collected on Braniff. There is no Robert Serling book on this airline and there won’t be. Robert Serling is dead. I don’t think there is anyone who can write such a book about Braniff anymore. Those authors are gone. I think these folks want to preserve a little of what made Braniff International great. I think they want to be honest brokers and I think that they have an opportunity to succeed. So, whether you are a fan of the entire airline industry or just Braniff, I would like to ask you to do a few things and none of them cost you much at all. Go to their Facebook page called Flying Voices and “like” them. They need some love. Seriously. Go do it now. I’ll wait while you click the link above. Go find out what these people are doing and see what you can do to help them out. If you can’t spare money but you can spare time or materials, ask them how you can help. Are you a former Braniff employee or Braniff family member? Then get in touch with them and see if you can participate in their project. I’ll issue a challenge to my readers and other airline bloggers: I’ve just given Flying Voices another donation and this time I’ve made it $50. I challenge all of you to give at least $10 to a project that I think will result in something pretty special. Wouldn’t it be fun to preserve a legend as a group? Back in November 2012, I wrote a blog entry titled The City of Dallas Hates Love Field, a story about one party trying to re-use the Braniff International Maintenance Building and the City of Dallas trying to tear it down so it could continue with its plan to make Love Field a non-airport. Since that time, there have been many people leading a fight to get the Braniff Maintenance Center listed for eligibility into the National Historical Register for preservation. In fact, I’m delinquent in writing a follow up to encourage people to contact The Texas Historical Commission to urge them to find the building worthy of preservation. Frankly, with what I know about Dallas politics, I didn’t have much hope for saving this building. When Dallas politics decides it wants something, it usually finds a way to have it regardless of who objects. We’re not a corrupt city but we’re a cold blooded one when it comes to business. Those guys did it. The Texas Historical Commission has issued the Determination for Braniff OMB 7701 Lemmon Avenue and the building has been deemed eligible for inclusion into the National Historic Register. Now there is a year long process called a Section 106 review that is performed to actually put the building into the National Register. The real mountain, apparently, was getting it deemed eligible. Congratulations to the group who went to work on making this happen. You have managed a very rare victory in my opinion. And that sound of something being unwrapped? That would be the Airport Director getting out some antacid tablets because his deal to turn Love Field Airport into a non-airport just suffered a major setback. I found a blog being maintained by an American Airlines pilot yesterday that was quite the experience. Unlike most, this pilot was an ardent defender of Tom Horton and credits him with moving the airline forward through the large aircraft orders made and for making a case to grow the business to the board of directors all prior to Gerard Arpey’s resignation. This blogger also contends that a merger will merely bring the America West / US Airways cat fight over seniority into the Allied Pilots Association and that stand alone is a better thing for pilots. There is more there but we’ll leave it alone now. I have a few specific and general thoughts here. First, crediting Tom Horton with the aircraft order strikes me as overly generous. More so the financing as being innovative. To be true, things were negotiated in these orders that have the manufacturers generally providing financing for these purchases and I’m entirely unsurprised at this since the order was largely a historic one and getting a piece of it required the manufacturers to make an attractive deal. But if we’re to credit Tom Horton for this order, let’s also credit him for the company devolving into bankruptcy as well. We tend to pin that on Arpey alone and the truth is that Tom Horton was as much a right hand man in the operation of the airline (often to the exclusion of many other capable executives such as Dan Garton) and if we’re handing out credit, let’s hand out all the credit. As for being the man to grow the airline, I would also point out that Tom Horton has possessed enough influence at the company pre & post Gerard Arpey to have already brought a great deal of influence into this direction. He did have Gerard Arpey’s ear and let’s not portray the relationship that existed between the two as fundamentally different. It just wasn’t. Again, if Tom Horton was a visionary, his vision appears to have been ignored entirely until Arpey’s departure and we know that that just isn’t true. Let’s also note that Tom Horton served as CFO for AT&T until it was purchased by SBC (Southwestern Bell). During his time there, he essentially presided over AT&T not succeeding and needing a merger to survive and hence the merger/acquisition by SBC. It has long been said that Horton realized he wasn’t going to replace the CEO and that current CEO of SBC, Randall Stephenson, had the inside track. This in fact turned out to be true when Stephenson replaced former SBC/AT&T CEO Ed Whiteacre. Enough of that. The truth is that as I think of the conversation as it surrounds this merger between US Airways and American Airlines, it always boils down to arguments about seniority amongst labor. I agree that integration of work forces is an important element in this merger and any other mergers among airlines. The idea that a smooth integration is the norm of a successful merger is not correct, however. We tend to look at the Delta/Northwest merger as the way it ought to always be done. In truth, I wish it were that way but that was a very, very special case and even in that one the pilots nearly did the merger in but for the leadership of Lee Moak in that process. The labor issues always revolve around seniority and a system of union representation that dates back more than 50 years. The union system and its focus on seniority has made life exceptionally difficult for those employees for decades. Today, among almost all legacy airlines, there is no job portability. A pilot who merely finds dissatisfaction with his employer cannot leave and go to another airline without starting literally at the bottom-most rung again. This is a major barrier to portability. And if those same employees had some portability, I think that we would discover that airlines wouldn’t be in such a bad financial position in terms of labor costs and airline employees would actually be able to “vote with their feet” when an airline management treated them poorly. Mind you, I’m not arguing against unions. They’re the choice of the labor force. I’m arguing against the idea that seniority and job security should be the overwhelming issue in representing their interests. At the end of the day and in light of the furloughs and layoffs and ever increasingly slowed advancement that exists at an airline, is seniority really providing job security anymore? And how about job satisfaction? At the end of the day, airline employees love their inherent jobs but they’re also inherently disssatisfied with their management, their wages and their quality of life. The roadblock to fixing those dissatisfactions is seniority. This makes me wonder when someone is going try to come up with a better model for the future. Wouldn’t it be great if an airline Captain with Airline A could quit a bad job and go to work for Airline B and be compensated on the basis of his experience and qualifications immediately instead of having to sit at the bottom of a seniority list and forever be “beneath” his peers who started at Airline B at the beginning of their careers? And wouldn’t it be interesting to see airlines compete for airline pilots on the basis of that experience? Remember that a desirable airline pilot isn’t just one with 10 or more years of experience. It’s a person who has shown good judgement, safe judgement, efficiency and a can do attitude. If I’m starting an airline, that’s who I want. And an airline startup can’t really get those guys. They’re stuck with the airlines they work for by and large. Seniority imposes too much pain on both the employee and the employer at this stage in the game. It is hurting competitiveness among airlines and impacting employees/labor in a very negative way over the long term. The Fort Worth Star Telegram’s Sky Talk blog has a story about how Maxim Group analyst Ray Neidl sees a similarity in the behavior of American Airlines pilots and how Eastern Airlines pilots managed to drive their own company into the ground 20+ years ago. While I agree with Neidl seeing similar behaviors that are similarly irrational, I don’t necessarily agree that the same outcome is likely. Eastern Airlines pilots did what they did, in part, because it was very hard for airline labor not to believe that an airline such as Eastern would be allowed to go bankrupt and effectively liquidate itself. This, despite seeing Braniff vanish just a few years before. There was a belief, at that time, that management would cave in to labor or that Congress would intervene. Neither happened. Today, I think that AA pilots know a little better. That said, things are already getting out of hand. What pilots don’t appreciate is that their small individual actions have a massive combined effect. The press on this issue is already exposing just how far this has gone and just how little room there is for it to go further. Furthermore, I think we would have to see a greater indicator of irrational behavior on the part of the APA board and leadership before determining that the risk is realized and the threat of demise imminent. I will, however, reserve my right to change my opinion based on union behaviors over the next few weeks. If we see union leadership fail to reign in these behaviors, I’ll fully acknowledge the likelihood that the airline starts a downward spiral financially. The Fort Worth Star Telegram’s Mitchell Schnurman has THIS POST on SkyTalk about companies keeping morale high to maintain profitability. It’s timely since it coincides with my own blog post about the labor cost that American Airlines is incurring with its battle over costs with the unions. Profitability is about quite a few things in a major company such as an airline. It’s about keeping a strict eye on costs, certainly. It’s also about keeping a close eye on cash flow and cash holdings. One little storm can cost an airline tens of millions of dollars. It’s about maintaining strong metrics in ontime departures and arrivals and it’s about being smart enough to buy a fleet to do the job you have without overextending oneself. Some airlines have been profitable with poor labor relations. Generally that has occurred at a “peak” in the airline industry curve and almost always when contracts are in place and not up for re-negotiation. How an airline survives the downturn in the airline industry has a lot to do with employee morale. Employees with a strong, loyal morale tend to fight for their company. They realize that their jobs and their success are tied to their airline succeeding more often with more customers more of the time in those bad times. Employee morale isn’t about high salaries. It really isn’t. Study after study has shown that employee morale can’t be maintained at a high level with just a high salary. It’s about making employees a part of the business. Giving ownership of problem solving to employees who experience the problems. Providing a share in the profitability and providing benefits that allow them to feel secure with their families while they work. It’s also about employees perceiving “shared pain” on the part of their management team when things are bad. There is nothing worse than an executive earning a bonus while other employees are “sharing the pain”. A workplace where treatment is both fair and just is also important. Valuing the inputs of a baggage handler should be just as important as valuing the financial analyst who monitors and sets pricing. It isn’t just about your union employees delivering great service to customers either. It’s about being able to get agreements to cover your needs now and the future. A company that is doing right by its employees is better able to negotiate union contracts to cover new flying, new aircraft and new partnerships. The faster you can negotiate those contracts, the more competitive advantage an airline has. It’s notable that Southwest and Delta airlines are working very hard with their union employees to put new contracts into place to cover opportunities for new business very quickly. It’s also notable that airlines such as American Airlines and United Airlines aren’t doing too well with their employees and aren’t executing new strategies to compete and, most importantly, earn sustaining profits. Employee morale isn’t the only key factor to success. But it is one of the top 2 or 3 key factors and one that several airline CEOs seem to be ignoring more and more as time passes by. Historically, the airlines who have done well both in regulated and deregulated environments with respect to profitability are those that had genuine leaders as CEOs. Shareholders would be wise to pay more attention to leadership at the helm and a little less attention to quarterly profitability. The epitome of romance when it comes to overseas travel in the “Golden Era” of airlines was the Boeing 377 Stratocruiser. With two decks, fairly low fuel consumption and the ability to cruiser at 30,000 feet, this airliner represented the finest in travel. It was slower than some airliners but none really equaled its luxury either. Pan American Airways was the prime customer for this airliner and used it on both trans-Pacific and trans-Atlantic routes. Question: What other airline purchased these aircraft new and flew them on trans-Atlantic routes? Update: For those sending me private emails, no, this will not change a thing with respect to travel on American Airlines today or even next year. If you have a ticket, it will be usable. This is not a liquidation but, rather, a reorganization. AMR (American Airlines) has enough short term cash holdings to exist in its present state for at least 3 years barring a dramatic change in the airline economy. Even if there was a dramatic change that ate up cash faster, AMR could survive in its present state for at least 2 years. Its current situation will be fundamentally different in 2 years with respect to costs as a function of labor and fleet. It’s not entirely a surprise but it isn’t entirely expected either, is it? American Airlines has filed for Chapter 11 Bankruptcy protection and Chairman and CEO Gerard Arpey is “resigning”. We’ll be seeing some people say “they knew all along it would happen now” and we’ll be seeing others expressing deep shock. If you followed American Airlines, you knew this was a possibility. I think few of us expected this to happen this month, this year or in the next 6 months. Not really. But it isn’t the *wrong* thing to do. By doing this now, American gets its house in order and they do it while there is ample cash holdings to accomplish it. This isn’t being done because American is out of money or can’t meet some obligation. It’s being done, primarily, to break labor contracts and gets its costs aligned with that of the other SuperLegacy airlines. By doing it now, American gets to be in control of its destiny much more than by waiting to until cash holdings become somewhat critical and creditos get antsy. Want proof of that? Look who just got named Chairman and CEO of American Airlines: Tom Horton. My first reaction is that Tom Horton is *not* the person to be put in charge of reorganizing American Airlines (and AMR). My second reaction is that maintaining the executive corps and the status quo is *not* what you want to be doing at this point. American isn’t having a tougher and tougher time of things simply because of what pilots earn. That’s part of it and labor costs in general are a big part of their troubles. The biggest problem? American Airlines increasing irrelevancy to the consumer and its exceptionally decreased value to that consumer when compared to both SuperLegacy and LCC carriers. Evolution in AA leadership is going to be very unsatisfying. A little more Revolution is what is called for. Tom Horton & Company aren’t that, I believe, but they are free to prove me violently wrong. There is probably no one more villified for the 1978 deregulation of airlines in the United States than Alfred E. Kahn. The Cornell University professor died at age 93 this past monday. What would probably surprise many, especially those born prior to the 1970′s, is that Kahn had no background in airlines. Despite that handicap, he did actually learn the arcane language and strategies of airlines as Chairman of the Civil Aeronautics Board. Mr. Kahn actually had to be pressured by both President Jimmy Carter and Vice President Walter Mondale before taking the job. Prior to taking the job, airlines were just “marginal costs with wings” to him, said Kahn. Was Kahn successful? I would argue that he was although he left a gaping hole in what he architected that still plagues airlines today: airlines were deregulated but their labor wasn’t. Only the price side of the equation was ever really deregulated. That’s caused more than 30 years of problems for airlines and it’s a problem that really is no closer to a solution than it was in 1978. One only has to look at who enjoyed political power in 1978 to understand why. You can read Alfred E. Kahn’s obituary in the New York Times.